East Coast Firewood, LLC is a team of forest resources professionals dedicated to providing our customers with the highest quality products, along with exceptional customer service. 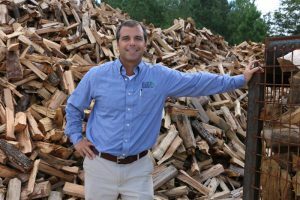 We take pride in the fact that we are a central North Carolina business involved in every aspect of the wood products industry, and therefore we have a passion to responsibly utilize and sustain America’s #1 renewable resource. 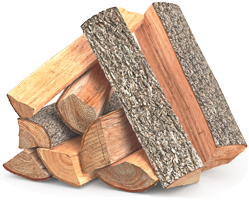 We proudly serve many area restaurants with USDA certified kiln-dried firewood, as well as specialty products such as cherry, hickory and pecan to both professional and novice smokers/grillers. We supply both residential clients and commercial bulk distribution accounts alike, always with the customers satisfaction in mind. Whatever your firewood needs, we can accommodate you. 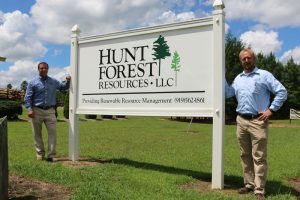 We are proud to be a part of the team at Hunt Forest Resources, LLC. Through the years, Hunt Forest Resources has developed the reputation of professionalism and the sustainable care of North Carolina’s natural resources. The values that are put into practice on a daily basis are the cornerstone for the work we do. We believe it is vitally important for land owners and forest products industries to sustainably manage our timber resources for future generations. How to season wood properly? What is the process of seasoning firewood? How long does it take to season firewood? When do I know my firewood is ready to burn? What is the difference between Kiln-Dried Firewood and Seasoned Firewood? Where do I find firewood? How can I build a great campfire? How long does it take until wet firewood is dry? Where to locate my firewood for seasoning and storing to reduce access to pests? What is the Goodness Grows in NC program? East Coast Firewood is brought to you by the forestry and wood professionals at Hunt Forest Resources, LLC. Copyright © 2019 East Coast Firewood. All rights reserved.